Every business establishment needs continuous uptime to become productive and profitable. Companies often rely on the servers that certified fiber optic technicians set up in order to get their work done. That’s why it is important to have a disaster recovery plan to turn to in the event of natural disasters and other unforeseen circumstances like a power outage. 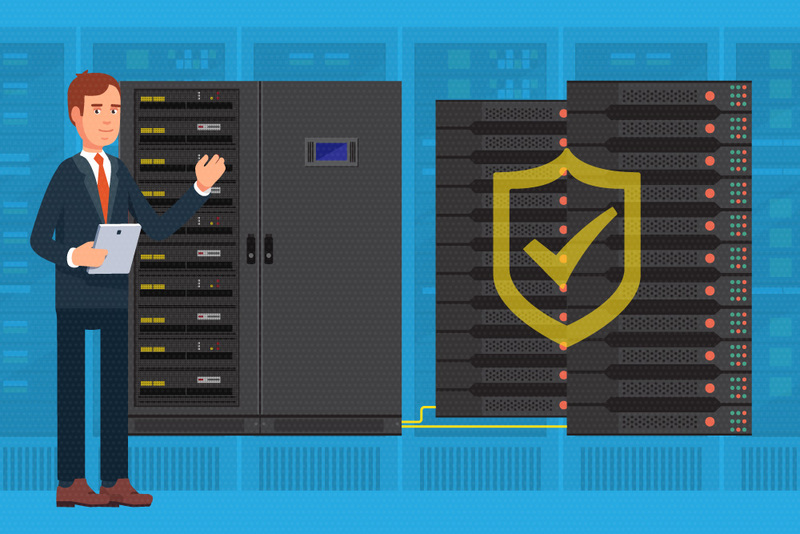 And one way to level up your disaster recovery plan is by utilizing an emergency battery power that’s called an uninterruptible power supply (UPS). It is normal for businesses to experience downtime from time to time, but that does not mean they are completely helpless to this business interruption. And, with the help of UPS, your equipment can have a short-term source of clean power while your main power source is unavailable. It enables your devices to quickly swap its power source within milliseconds and prevent them from turning off improperly and encountering problems. Although downtimes are inevitable, it could be reduced to a minimum with an uninterruptible power supply. It serves as a backup power supply that can give you power for a certain amount of time. This can help you continue what you’re working on your computer and prevent the financial loss you could potentially get while the power is out. Moreover, you can also maximize and prolong the battery life of your UPS by reducing your power usage while using it. You can also set your devices to automatically shut down so that you won’t waste your resources when you experience downtime while your gadgets are unattended. When businesses experience a power outage, it can raise a lot of problems. This is especially true when employees are in the middle of working on something on their computers. Downtimes can happen without advance notification. That being said, this can cause significant data loss for your company. But, with the help of a UPS, you can buy your employees time to safely save their work and correctly shut down their computers while your main power source is out. An uninterruptible power supply doesn’t just help you avoid data loss and reduce downtime, it can also provide you with additional equipment protection. When you plug your devices to the UPS, it will be protected from the unforeseen power surges, voltage spikes, and brownouts. There are uninterruptable power supplies that are specifically designed to provide and maintain a safe voltage level for the equipment that is connected to it without swapping over to battery power. When it comes to disaster recovery plans, it is ideal that an effective disaster recovery technology is portable and cost-efficient. And, with UPS, you can have both attributes in one technology. Most UPS units are space savers. Because of its portability, you can easily store them in places where you put your power cables and power boards. Moreover, you can also purchase this technology at an affordable price, which can help you cut the overall cost of your company. That being said, UPS can definitely give your disaster recovery plan a level boost. Alongside your UPS, make sure to let accredited fiber optic technicians set up a high standard fiber optic network to meet your business needs. With a high-quality computer network and a high-level disaster recovery plan, you are taking a smart step towards success.